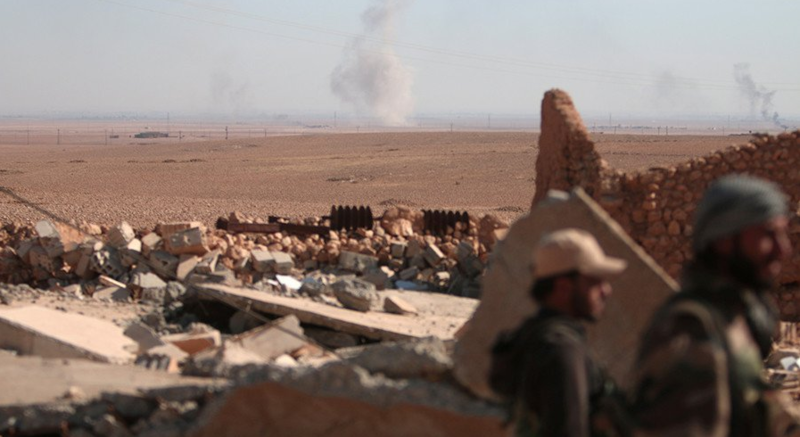 U.S. air support aided in Syrian Kurdish fighters capture of strategic airbase. A report came out today from Syrian Kurdish forces stating that they have successfully captured a northern Syrian airbase from the Islamic State. The U.S. backed troops claim the strategically positioned Tabqa airbase was a vital victory as they are now only 28 miles outside of Raqqa, the Islamic State’s capital and stronghold in Syria. Five days prior a U.S. led operation airlifted hundreds of SDF troops behind IS lines and have supplied the soldiers with advisers and American artillery along with much needed air and ground support. ISIS militants captured the Tabqa airbase back in August of 2014 killing hundreds of government soldiers in a mass assault that was recorded and shared across social media platforms. The activist-run Raqqa is Being Slaughtered Silently says the SDF have “controlled” several parts of the air base, while the media arm for the Kurdish PYD political party, which is aligned with the SDF, says fighters have seized a village one kilometer (0.6 miles) away from the air base. A major Syrian opposition group has called on a coalition led by the U.S. in hopes that they will stop targeting residential areas both in and around the IS capital. Civilian life seems to be the biggest fear for the Syrian National Coalition who are currently taking part in talks held in Geneva mediated by the United Nations.